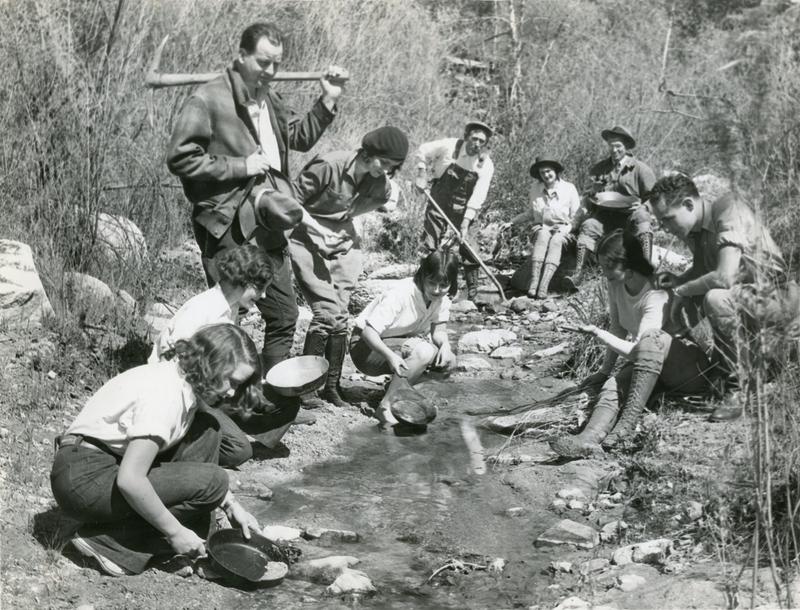 SCVHistory.com LW3016 | Placerita Canyon | Panning for Gold, April 1934. Please Use Credit | Caution: ROTO for release Sunday, April 29. RENEWING THE DAYS OF '49. 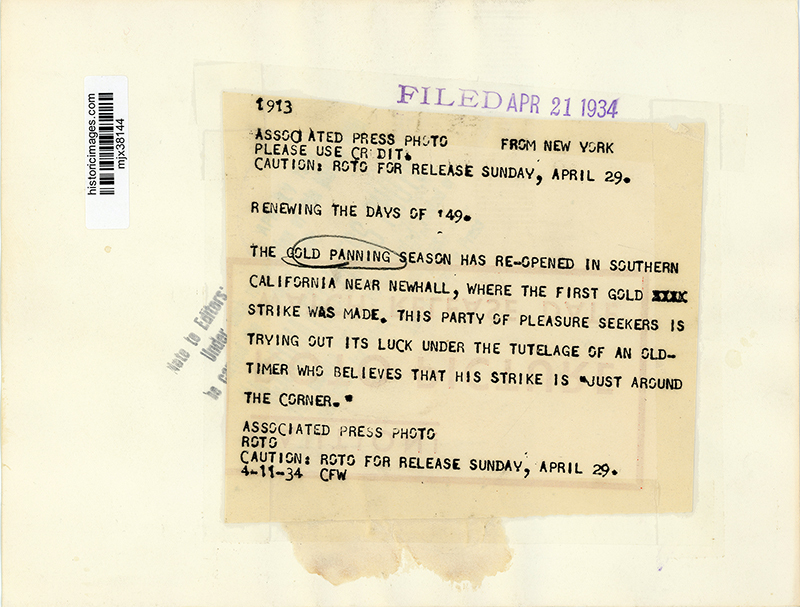 The gold panning season has reopened in Southern California near Newhall, where the first gold strike was made. This party of pleasure seekers is trying out its luck under the tutelage of an old-timer who believes that his strike is "just around the corner." LW3016: 9600 dpi jpeg from original photograph purchased 2017 by Leon Worden.